Conundrum: (noun) a confusing or difficult problem or question. 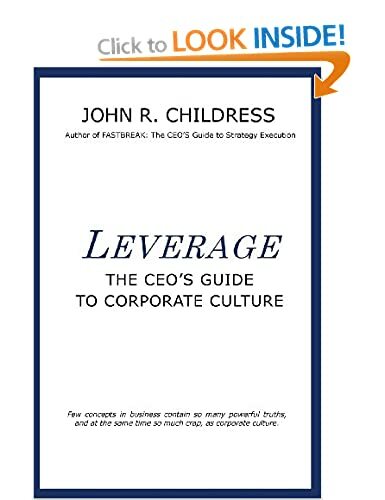 In my last blog post, The Illusion of Corporate Culture, Part 2, I focused on why I believe there is no one single corporate culture in an organization, but instead culture is really a combination of strong subcultures. When these subcultures are in alignment with the overall business strategy, there is alignment and the company uses this high performance culture to deliver results. When the subcultures are out of alignment with the overall business strategy, the overall organization finds it difficult to deliver effective or efficient results. The example I used was modern global banking, where very different subcultures exist between investment banking, operations and retail banking. Each of these very different subcultures are designed to fit the needs of that business and over time have become further adapted to deliver on their very different business models, customer bases and marketplace conditions. Yet they all belong to the same bank and for senior leadership to govern and manage such a disparate organization, there is a need for some level of commonality across the company. So here’s the interesting question: Should there be the common denominator across all subcultures within a given bank? If so, what would tie all these very different subcultures together? The first answer that comes up from most culture consultants and HR experts is”Values”. “We need a common set of Shared Corporate Values”. Do you really believe that publishing a set of shared values will create the appropriate behaviours? A recent study across multiple industries plotted the percentage of times certain values showed up in corporate values statements. Pretty standard stuff and definitely open to differing interpretations. My problem with this simple answer is that commonly declared shared values, like Integrity and Teamwork, can mean very different things from one subculture to another. 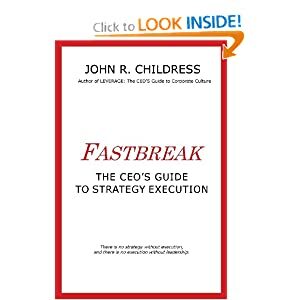 The other problem with trying to force fit common shared values across a large complex organization is the fact that most people, even executives, find them meaningless and not very useful in managing people or the business. Rather than vague Values, I suggest we focus on behaviours. We can see behaviours; values tend to be abstract. Behaviours are real. Behaviours drive outcomes. Behaviours can be managed. But is there one or more behaviors that we can legitimately expect everyone in the company, and all the various subcultures, to adopt? I recently attended a business breakfast meeting in London where the guest speakers were three professional international league rugby players. Two recently retired and one still active. They stood out in the room of about 50 business executives, and not only because of their immense size (big as a house is a close approximation). They stood out because of their attitude towards their work and the professionalism with which they approached their lives as rugby players, and in their business careers afterwards. Rugby, in case you don’t know, is the consummate team game and highly physical. Players have to be at their peak mentally and physically not just at game time, but throughout the week of training events leading up to the games on Sunday. Playing rugby at the national and International Test level is a true profession and they take it seriously. The two who had retired and were now employed in large UK businesses both had the same insight about the business world. The professionalism with which international athletes approach their work is very different from what they find in business. In the nicest way what they were saying is that real professionalism is considerably lacking in business. In rugby, the athletes take professionalism very seriously, and expect everyone, from the coach to the newest player to the support staff, to live according to highly professional standards. The team doesn’t work unless everyone is committed to professional attitudes and professional work behaviours. Professionalism : the skill, good judgment, and appropriate behavior that is expected from a person who is well trained and strives to do a job well. If you can’t focus 100% due to family or personal issues, take yourself out and let someone else fill that spot. If you are playing for the money or the fan recognition, you quickly become the weakest link. It’s the love of the game that keeps you at your professional best. I think there is something very powerful about these professional behaviours that we in business should reflect upon and think about adopting. Could Professionalism be the common denominator that connects all the various subcultures of an organization? Worth thinking about. This entry was posted in consulting, corporate culture, John R Childress, leadership, Organization Behavior, Personal Development, strategy execution and tagged business strategy, coaching, conundrum, Corporate Culture, corporate values, feedback, global banking, International rugby, personal development, professionalism, shared values, subcultures, test rugby. Bookmark the permalink.